The figure of the anarchist has long dominated our national imagination. It’s a word that conjures up the lawless, the nihilistic and even the violent. It’s the image Senators Reid and Warren invoked in their talking points against the Republicans, and it’s the image law enforcement officials use over and over again to break up protests and illegally surveil social movements. But political hooligans like those in the tea party are giving anarchism a bad name. In fact, they’re not really anarchists at all. Real anarchist communities operate according to radically democratic principles. They theorize, and even organize, with egalitarian political and social visions in mind. Unlike tea party obstinacy, anarchism promotes cooperative forms of decision-making—not only in political life, but in social and economic institutions as well. Co-op book and grocery stores, community gardens, employee-owned businesses, land trusts and cooperative housing projects, as well as grassroots relief efforts like Occupy Sandy, are just a few examples of anarchist praxis at work in our society. Anarchism is not lawless, but it does involve a critique of the state. Anarchists encourage us to place a burden of proof on existing authority structures, and push us to limit, or even dismantle, the power of institutions, regulations and individuals whose authority proves to be illegitimate. That might sound at first like the tea party’s rallying cry, but there are important distinctions. Anarchists want to prefigure, within their own communities, the egalitarian societies they seek to create. In a political system like ours, which is dominated by money interests, they do not acknowledge institutions like the U.S. Congress as legitimate representatives of everyday people, nor as agents of a truly free, democratic society. The tea party is trying to diffuse the power of centralized government, but, paradoxically, they’re using big corporate heads and political figures within centralized government to get there. When billionaire conservatives like David and Charles Koch are able to use the tea party as a fig leaf for promoting corporate deregulation, that does not anarchism make. Despite their anti-authoritarianism, some of today’s anarchists concede that states can serve socially important functions like ensuring sound infrastructure, basic consumer protections and comprehensive social welfare (though they believe such services are better executed with decentralized communities). But they do not support coercive aspects of state sovereignty, such as those operative in our military and criminal justice systems, and institutions like the NSA. The tea party claims to be for small government, but it calls for a strong centralized military and highly militarized law enforcement, especially with regard to undocumented immigrants. 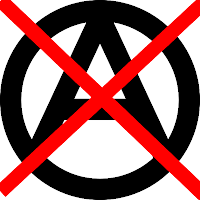 Anarchists seek to promote autonomy and challenge forms of control in other realms of social life as well, such as the family, religion and our education system. Tea partiers, by contrast, support highly conservative efforts that seek to restrain sexual freedom, impose the denial of climate change in our schools, and privilege Judeo-Christian values. So if the tea party is not anarchist, what is? It’s closer to what we’ve seen with pro-democracy movements around the world—in Brazil, Turkey, Spain, Egypt and here at home—where large segments of society lost faith in their elected leadership and refused to recognize their authority. In all of these countries, activists rejected formal political organization, and instead created all-inclusive, leaderless movements to test the potential for social and political change from below. In Egypt, they ousted a dictator. In Turkey and Brazil, they advocated for policy change. In Europe, they scored a financial transactions tax and, in some countries, a curb on CEO pay. In the United States, they highlighted the problem of the “1 percent.” And in each case, they did this without ceding their grassroots social movement power to political elites. Anarchists believe, ultimately, in the power of people, not the people in power. The truth is, our top political and economic institutions are not really structured as representative bodies. The idea of representation is being used today to legitimize the vast decision-making powers of a ruling elite, of which tea party politicians are a part, who exercise an inordinate level of influence in our political and social system. The ongoing government shutdown is putting the problem of American democracy and its relationship to social inequality back on the table. The real source of this governmental impasse is the fundamental marginalization of everyday Americans from political life—from the circles of power in which key decisions are being made (or not being made) about our well-being and future. Reid and Warren’s misuse of the term “anarchism” thus presents us with a terrific irony: If anarchists had indeed taken over Congress, then the American people might be invited to collectively decide our fate, rather than entrust it to representatives of a powerful few. But a government by all, and leadership by many, is precisely what our politicians fear—on both sides of the aisle. Anarchism seeks to diffuse power based on hubris, superiority and the conceited pursuit of wealth, and re-root it in democratic principles and egalitarian ethics. Given our current situation, that doesn’t sound like such a bad thing. Heather Gautney is author of “Protest and Organization in the Alternative Globalization Era“ (Palgrave). She is an associate professor of sociology at Fordham University. Note: This post has been updated. The original version said that many anarchists think the state is sometimes better equipped than decentralized communities to provide certain social services. The language has since been refined for accuracy.